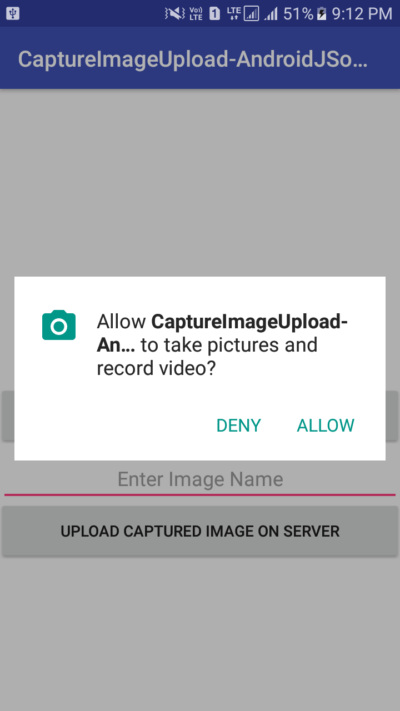 How to Take a photo from camera and upload online and save image path into MySQL database with image name project with Runtime Camera permission. 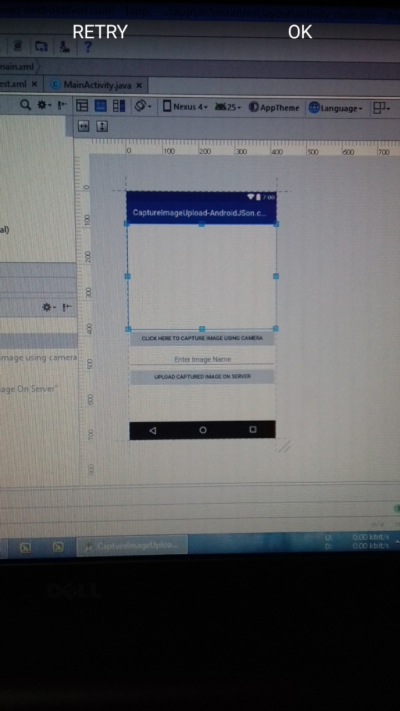 In this tutorial we would going to create an android application which would capture image from android mobile phone camera and show that image inside ImageView. After capturing we would set image name into EditText and upload image online to our hosting server. While uploading we would also show ProgressBar dialog on app screen. The image would store on our server inside a folder created by myself and the whole image path save into MySQL database along with image name. We are using PHP script to receive and store image on server. 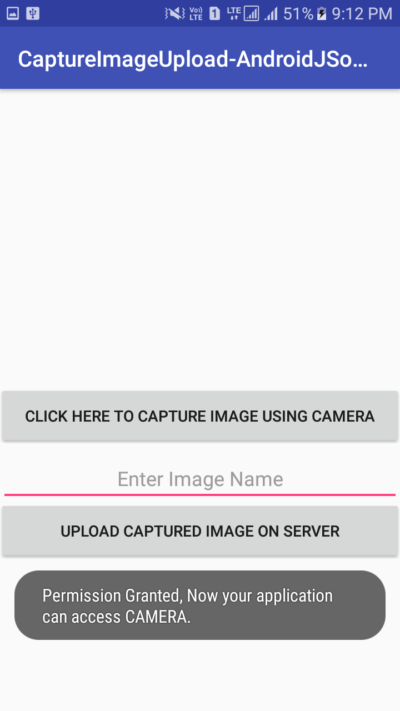 So here is the complete step by step tutorial for Android Capture Image From Camera Upload to Server Using PHP MySQL. Create Database including table on your server. Create folder named as images on your server. 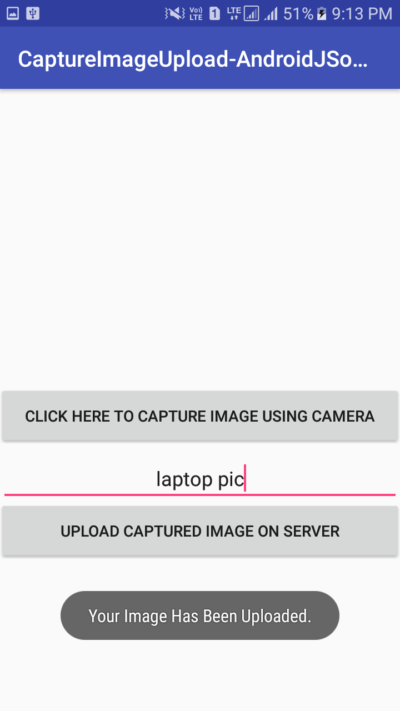 Create PHP Script to receive send image from android phone. Start a fresh android app development project. Add internet and camera permission inside the project Manifest.xml file. Create a fresh database on your server and inside that database create a fresh table which will used to store image name and image path inside MySQL database like i did in below screenshot. After creating table we have to create a folder on our hosting server which will used to store images. Now we would have to create 2 php files first one is capture_img_upload_to_server.php file and DatabaseConfig.php file and upload that file into our server. These file will used to receive and store image details, image itself, image name on MySQL database. Open your project’s AndroidManifest.xml file and add camera permission and internet permission inside it. // Star activity for result method to Set captured image on image view after click. // Adding captured image in bitmap. // adding captured image in imageview. // Requesting runtime permission to access camera. // Printing toast message after enabling runtime permission. // Upload captured image online on server function. // Converting bitmap image to jpeg format, so by default image will upload in jpeg format. 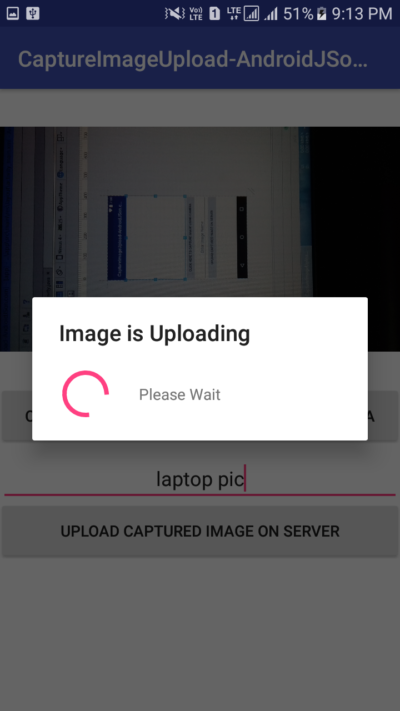 // Showing progress dialog at image upload time. // Dismiss the progress dialog after done uploading. // Printing uploading success message coming from server on android app. // Setting image as transparent after done uploading. android:text="Click here to capture image using camera"
android:text="Upload Captured Image On Server"
Chen in this example i am using 000Webhost and it is uploading the image. Can you tell me what error it is showing ?